“Cross the Clintons… get suicided,” Jameson wrote, along with a link to a story about the interview. 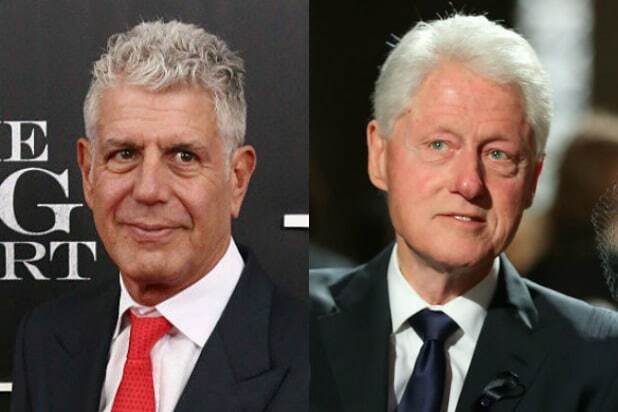 In an interview conducted three months before Bourdain’s death but published by Popula on Sunday, Bourdain criticized Bill and Hillary Clinton for how they handled the accusations of sexual harassment that rocked the former president during his time in office. Bourdain also criticized the Clintons for their response last year to the sexual harassment accusations levied against Harvey Weinstein, their friend and political donor. “People were really hoping she’d come out with a… I don’t know. Let’s just say with something different. I immediately tweeted my disappointment, very much shaped by what I saw around me. And I will tell you, that was really f–ing frightening, the reaction to that. You know, I voted for her,” Bourdain said. Bourdain was found dead in June of an apparent — but apparently not apparent enough for Jameson –suicide at age 61.